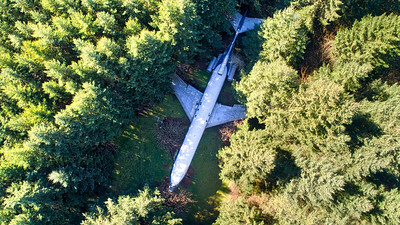 Few months ago I came across a photo that looked like the wreckage of an airplane in the middle of a forest, which is kinda cool. So I dug a little deeper and found out that it wasn't a plain wreck at all, but an airplane converted into a home! And best of all, turned out it was only a 20 minute drive from where I live, so I had to go check it out. When I contacted Bruce Campbell, the owner of the 'house' who invisioined the whole thing, he said he's more than happy to welcome us into his home and show us around so Sandu and I paid him a visit last weekend. He was such wonderful person, very friendly, warm, and welcoming. We went inside to check it out and had a fun chat with him, and he was totally cool with us taking pictures insdie and out. And here's a cool aerial view of the plane/home! If you want to know more information, please visit his website, AirplaneHome.com, there's tons of information there. If you happened to be around Portland, shoot him an e-mail and he'll probably be cool about you visiting. I really do recommend it. 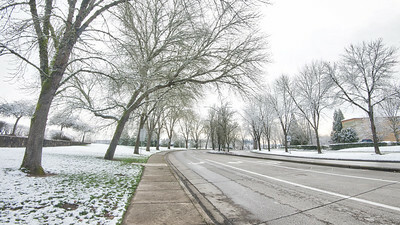 The second picture of the exact same place where I took a nice photo during the last Fall. Hopefully I'll have four by the end of the year. 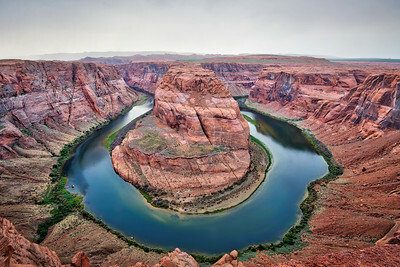 The Horseshoe Bend in Arizona, United States, is hands down the mother of all river bends. It is a wonder, a marvel of nature, a ridiculously unreal yet real creation of mother nature. As a photographer I know that some photos do more justice to the actual location, and when you see them in person they are not as amazing as the photographs make them to be. But for one, the Horseshoe Bend is quite the opposite; no photo can do justice to how impressive it is in reality. I've seen countless photos and videos of it, but none of it could prepare me for the real thing. It's neat that you can't see it until you get absolutely close to it and when you do... you cannot help but feel amazed. 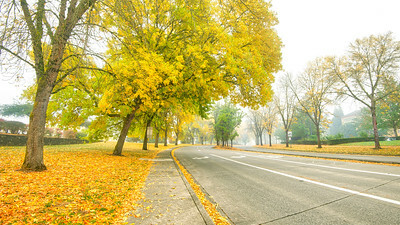 Some more Oregon Fall Colors. 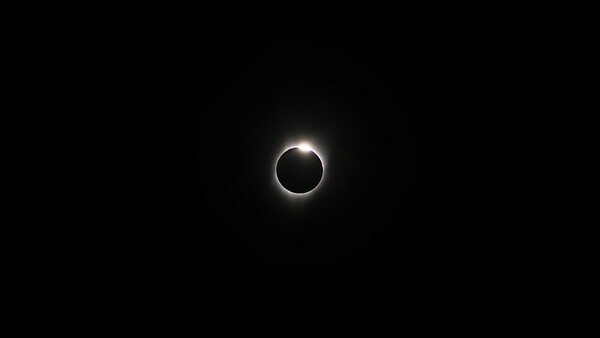 The 'Diamond Ring' captured during the 2011 North American Solar Eclipse. 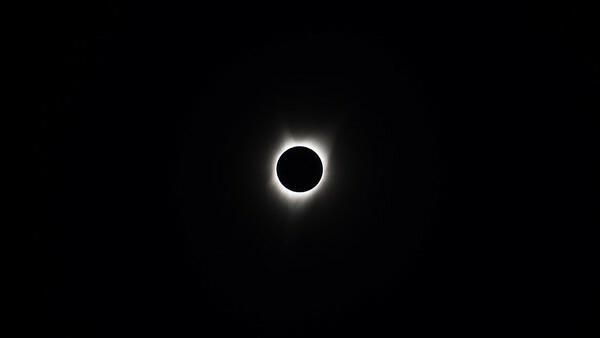 Seeing the Solar Corona with my own eyes was special. On August 21st, 2017, the Moon pulled off the greatest photobomb of all. And I was there to witness it! Last weekend we hiked Mount Rainier, WA, and I would say that was probably the best hike I've done in the US of A. In about 5 hours we passed through lowland meadows with awesome wildflower fields, hiked through narrow snowy trails, and arrived here which is an altitude of 7,000 ft. 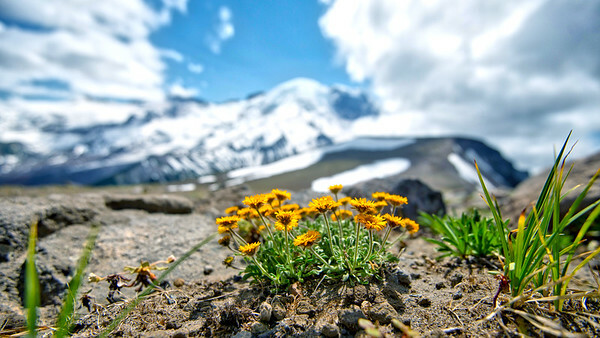 The Mount Rainier seen in the background is about 14,000 ft high, and only for the expert climbers, but at 7K ft the view is already breathtaking; isolated, quiet, and breathtaking. 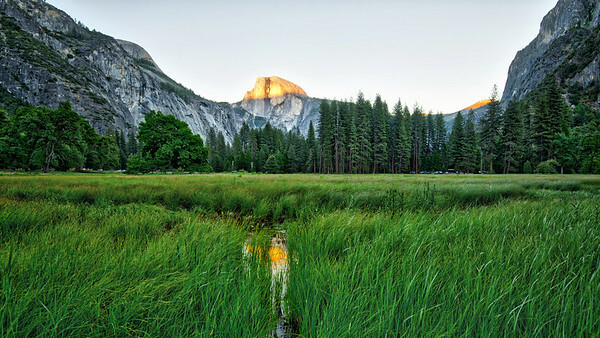 When we were at Yosemite, and it was around the sunset, I HAD to be at this location to not miss the sunset. So I dragged Sandu along and ran there an hour before despite her more sensible words. I mean, you can't miss it, can you? But it was all worth it, and the idea for this with the reflection on the water was totally hers! 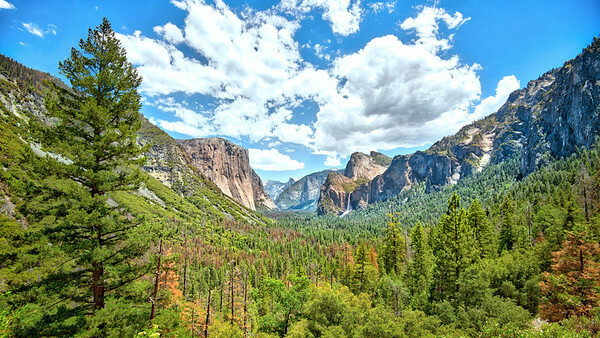 On the road to Glacier Point from the Visitor Center, you can see from one of the viewpoints this picture perfect view of the Yosemite Valley with El Capitan at the backdrop . Never miss it! South America, done. 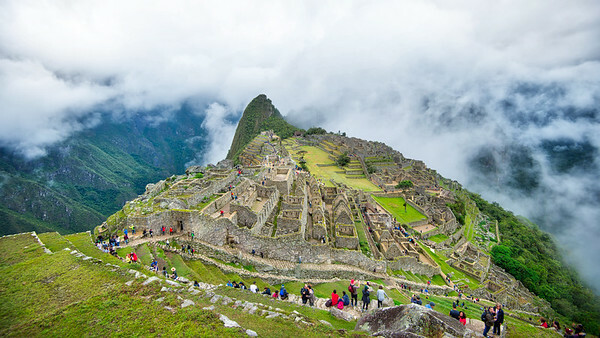 You know how much I love travel, and Machu Picchu was always at the top of the 'Places to Go' list, so after one failed attempt and a lot of frustrations, when we finally got there it was totally worth it. The whole country of Peru is such a gorgeous place, the Andes mountain range is amazingly beautiful, but Machu Picchu just takes the cake. Sandu and I were there for 4 days, and we enjoyed it to the fullest. It's not always that your dreams come true, so when they do, you better make them memorable. 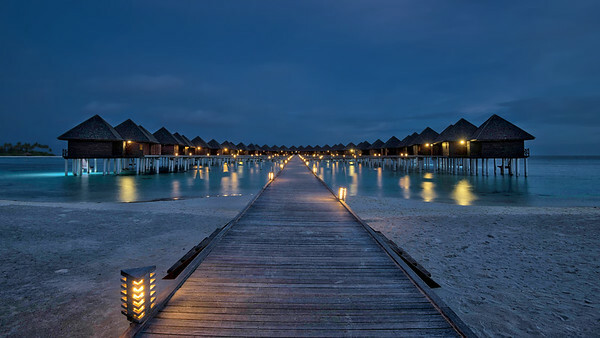 These are the hotel rooms we stayed in while in the Maldives. Few feet above the calm waters it was such a fantastic place to be with a hoard of marine creatures visiting you every so often. 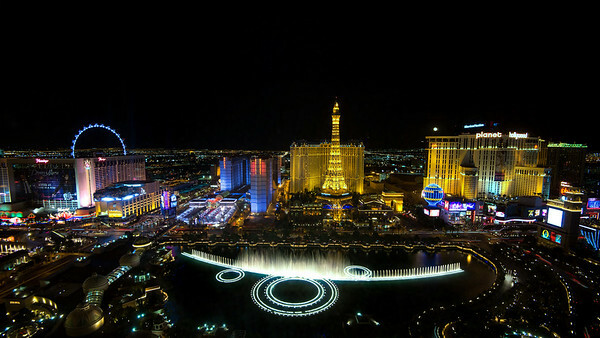 Las Vegas is full of all sorts of extravagant displays, especially at night, but nothing beats the Bellagio Fountains. It is the one attraction I never get tired of even after seeing it so many times; it truly is a spectacular sight. 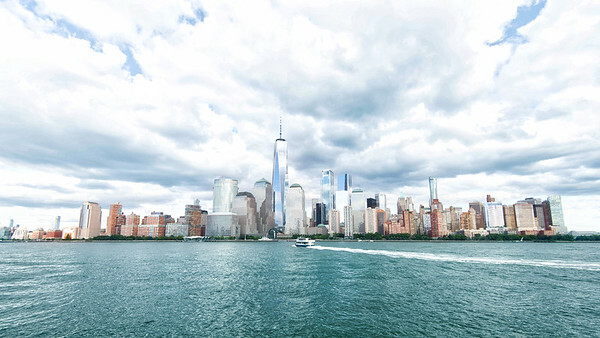 While I've seen it many a time from the ground level, I've never seen an aerial view of it although I've seen pictures. So when the opportunity presented itself, to look at it from a Bellagio Fountain View Penthouse Suite, I didn't need a second invitation. 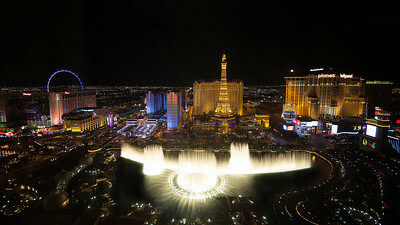 And it didn't disappoint; with the Vegas Strip in the background, it was a more than spectacular view from up there. 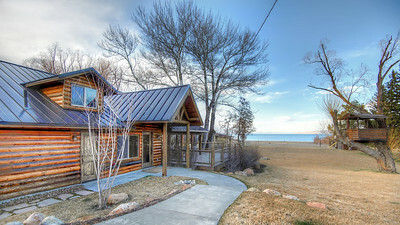 A nice little cozy cabin at the edge of the Bear Lake, Salt Lake City. 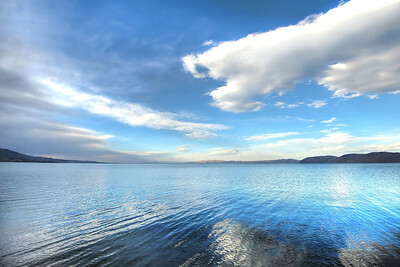 The Bear Lake in Salt Lake City, Utah, on a crisp spring day like this, is the serenity epitomized. It is so serene, sedate and silent, it expresses feelings a thousand words couldn't; it is such an eloquent silence. I'm not a religious person. Not by any measure of the word. Nevertheless, I appreciate a lot of things related to religion, and architecture of religious monuments and such always impress me. They did so in Rome, and the stupas of Sri Lanka are always a sight to behold. 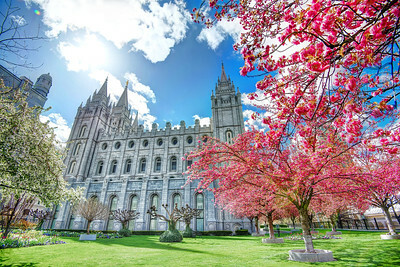 When I visited the Salt Lake City this spring, I went to see the Temple of the Church of Jesus Christ of Latter-Day Saints, and it was indeed very impressive too. A couple of really good old friends from D.C. visited me right after my first semester ended which was perfect timing. 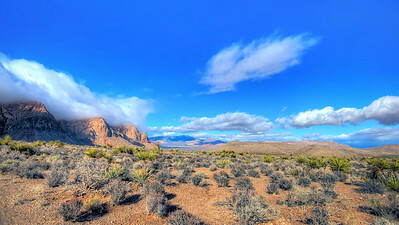 They stayed with me for a few days, and on the first day we headed to see the Hoover Dam but unfortunately the ever so dry desert was drenched in rain that day. We still did manage to see the Dam but it wasn't a very pleasant experience. The next day we headed for the Death Valley, and as if to make up for the misery it caused us the previous day the weather was absolutely fantastic. Perhaps because it was after the storm, the sky wasn't completely cloudless; it was still gorgeously blue but also with snow white clouds. We stopped on the way at this breathtaking location, and the Mother Nature even threw in a rainbow to make it the perfect scene! In between the transition from Japan to the USA, I spent a little over a month in Sri Lanka, the good ol’ motherland. It was after four and a half years that I was back home, and more or less the first time since I took up photography seriously. So, naturally, there was a tonne of stuff that I wanted to photograph, and I wasn’t going to miss out. But going around with all that camera stuff all by yourself can be a bit boring, and so I pitched the idea to my good friend Balathasan Sayanthan, and thankfully he was in for it the moment I said it. Within a few days we planned the trip (thank God for Google maps and Wikitravels!) and headed to the two ancient cities Polonnaruwa and Anuradhapura, which is also a World Heritage, and for good reasons. It’s a photographer’s paradise, full of history and majesty. 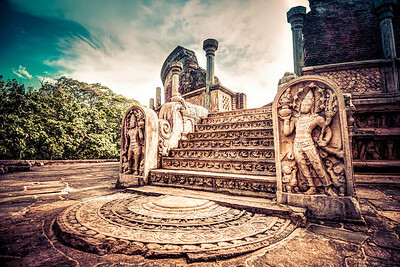 This is one such place, the Polonnaruwa Watadage which is a structure built for the protection of a small stupa. It is considered to be the best example of its kind, and the stone carvings found there are quite excuisite. The exact date of its construction is disputed but is believed to be around 12th century A.D.
Another improvisation at the Drink and Click September Photo Walk. 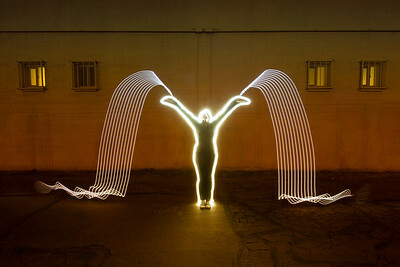 My good friend and fellow photographer Barb Davids is the model and she was super easy to work with! 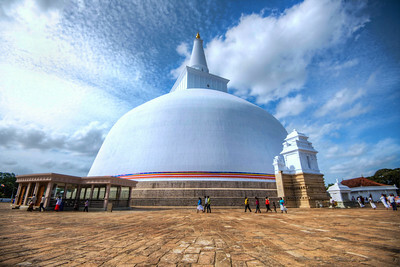 This is the Ruwanwelisaya in the ancient city of Anuradhapura in Sri Lanka, a stupa considered by many Buddhists all over the world to be a sacred monument to them. Standing at 338 feet (103 m) and with a circumference of 950 ft (290 m), it is also one of the largest monuments in the world, and considered a marvel for its architectural qualities, especially considering the fact that it was built in 140 B.C! Really, this picture does not do justice to the size of the thing; when you are up close there at the base of it you really do feel how huge, I mean really huge, it is! This is the Ruwanwelisaya in the ancient city of Anuradhapura in Sri Lanka, a stupa considered by many Buddhists all over the world to be a sacred monument to them. Standing at 338 feet (103 m) and with a circumference of 950 ft (290 m), it is also one of the largest monuments in the world, and considered a marvel for its architectural qualities, especially considering the fact that it was built in 140 B.C! Really, this picture does not do justice to the size of the thing; when you are up close there at the base of it you really do feel how huge, I mean really huge, it is!